This clip is short in duration, grainy and has poor audio quality (do turn up the volume). 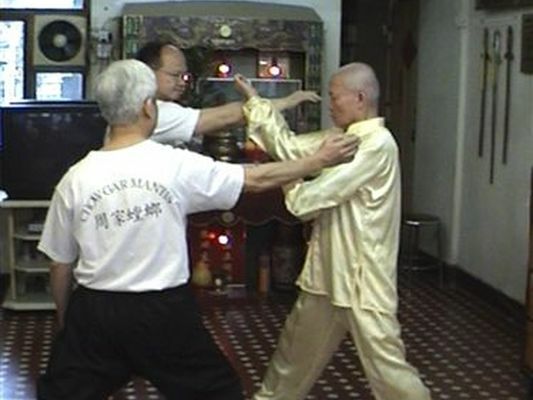 But it is quite a gem covering key basics of Chow Gar Southern Praying Mantis' Chy Sao or Grinding Hands (which has little semblance to Wing Chun's Chi Sao or Sticky Hands, though they have similar sounding names). As demonstrated here by Grandmaster Ip Chee Keung. Wing Chun-White Crane Missing Link Found?